John Price appears to have thrown in the towel. He has spent the last year struggling to support his family, neglecting to spend time with his wife and children, and becoming increasingly cynical about the degraded state of the natural world around him. After a heart-attack scare, however, his wife demands that he start appreciating all the "good things" in his life: their mouse-infested old house, their hopelessly overgrown yard, and most of all, the joys and humiliations of parenthood. 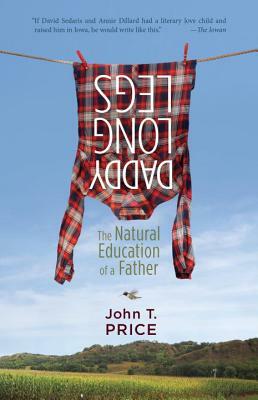 In his quest to become a better father, Price faces many unexpected challenges--like understanding his grandmother's decision to die, and supporting his nature-loving sons' decision to make their home a "no-kill zone" for all living creatures. Still he finds the second chance he was looking for--to save himself and, perhaps, his small corner of an imperfect yet still beautiful world. John T. Price is an award-winning teacher of creative writing and literature at the University of Nebraska at Omaha. He earned a BA in religion, an MFA in nonfiction writing, and a PhD in English from the University of Iowa. He is the author of two memoirs: Man Killed by Pheasant and Other Kinships (Merloyd Lawrence Books/Da Capo Press, 2008)--which won the 2009 Orion Magazine Readers' Choice Award--and Not Just Any Land (University of Nebraska Press, 2004).